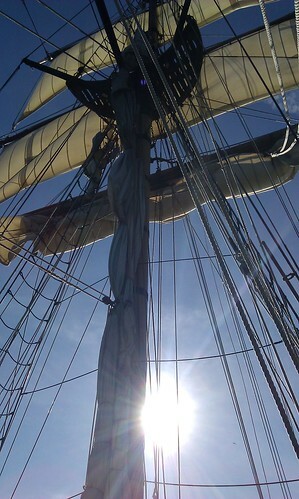 In the rigging of a tall ship. That I was on. Sailing around the ocean. Like a pirate.